Dark Strokes: Sins of the Fathers is rated 4.6 out of 5 by 170. Rated 5 out of 5 by fabfractals from Good, old game This appears to be what games were like before all the collecting, morphing objects, interactive maps and achievements. (There is, however, a collectors edition, which I did not play.) It's a straightforward game with things to find to open doors, etc., and advance. Good puzzles, not too difficult; lots of HOPs (YAY!) and a story to keep you going. The puzzles were not too hard, except for a couple. The HOPs were also very nice, with one or two objects difficult to find. You race against a gang of "faceless ones" trying to stop you from interrupting the task of the villain. Progress in the game is not too onerous, with objects to find being logically connected to items to open (not like some other games). I like that. The artwork is excellent (although not as crisp as more recent games) and the sound is not too annoying. After brief voicing of the characters at the beginning, the rest is left to text interaction. Perhaps an upgrade? All in all, a good game, and worthy of 5 stars. Rated 5 out of 5 by SuperOmmi from Loved It! I have no idea how I missed this one when it came out, but I came across it this past week and since I have the newer Dark Strokes, I decided to play. No regrets, it was great. Graphics, music, game-play, level of challenge, voiceovers were all excellent. The story was different and held together right to the very end. This being a somewhat older game (2012) means that there are no cute helpers (please can we stop with the helpers), you can't lock the inventory, the map isn't jumpable, and there are no extra collectibles or achievements. But I don't mind all that because there is a nice, long, related Bonus Game. The Bonus Game is a prequel that actually fills in a couple of tiny plot holes from the main game. I miss the days of the long 3 to 5 chapters Bonus Games - because that's what the CE should be about - more of the gameplay you love, enough to warrant paying twice the price, not a bunch of meaningless bling that most people don't really care about. I play CEs for the Bonus Game - which in the last few years has dwindled down to just a couple of Chapters. Well this one has a nice, long BC as well so I was very happy with it. Rated 5 out of 5 by bluesycat from Really Enjoyed this Game From the number of reviews already posted, there's probably not much new I can add, but I really enjoyed playing this game, so at least I can say that. First of all, this meets my requirement of a good story. The hero takes a many-faceted meticulous journey to solve the puzzle of his fiancee's abduction. There are many, many scenes. Mostly HOS, but also a fair number of puzzles. Many of the HOS are visited 2 or 3 times, but I didn't mind. A few objects in each visit are very hard to find, and the scenes aren't to scale making them more difficult - but not so difficult I gave up. I did skip many of the puzzles after messing with them for a while. The ones I was able to solve were just the right balance between too easy and insoluble. Most were visual puzzles. The ones I couldn't do were the ones where moving one thing, moves a dozen other things, although I was actually able to figure out one of them. For an SE, there is a lot of game play. I don't time my play time, but this game took a lot of enjoyable time, even when played at the easy level with a ton of sparkles. There was so much to discover in each scene I could forgive the endless blinking. There were a few instances of traipsing back and forth, but not too much. For the most part, once you left a scene cluster, there was no need to return. Graphics are comic drawn, but with some interesting detail. The music is repetitive and sometimes annoying, but you can always shut it off. Sound effects in the HOS were strident, but again didn't take away from the game. Very satisfying ending, particularly in light of there being a CE out there. Try it out first, but I recommend this game! Rated 5 out of 5 by pennmom36 from Dark Strokes: Sins of the Fathers SE When Ethan Blake received a letter from his father the Judge of Cedar Falls, begging him to postpone his wedding to Clair and come home to Cedar Falls, he had no idea how dire the situation had become. The citizens live in constant fear of men wearing masks, the faceless demons, who are responsible for the disappearance of several of the townspeople! These faceless demons are not pleased with the couple's plans to visit the Supreme Justice, causing the train to derail and nearly taking their lives as well! Ethan's resourcefulness has an alternate transportation up and running, the town's abandoned ski lift, but their arrival was anticipated and the phantom grabs Clair and whisks her into the darkness. What has father done to these rebels to make them so angry, what do they want? This game is packed full of interactive tasks, with intricate locks that need opened, machinery that needs repaired and codes to be solved. 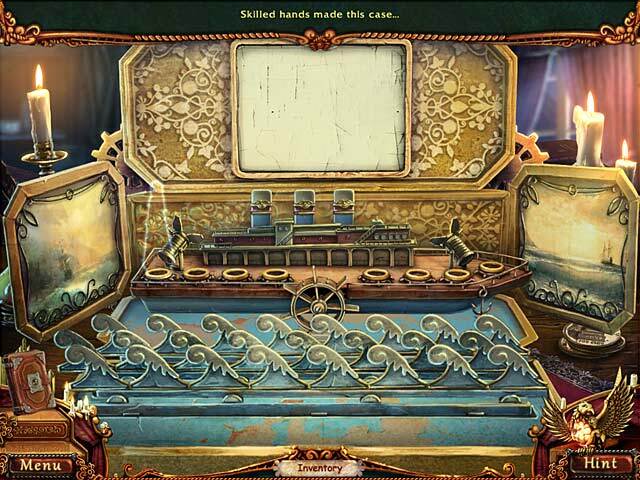 The Hidden Object Scenes are slightly interactive list finds such as clicking on a die until the number 6 rolls into view. The mini games are fairly simple yet fun such as clicking on tokens two at a time trying to match two tokens with corresponding items such as a skull and bones. There are also simple games such as clicking and dragging items out of the way until the pair of scissors is revealed. The Collectors Edition has 4 bonus chapters, wallpapers, and concept art available as well as an integrated strategy guide, but in my opinion, this Standard Edition is the better value, enjoy! Rated 5 out of 5 by a071409 from Excellent HOG game What a wonderful game! Great visuals, graphics are excellent and the storyline keeps you interested. There are mini games included, which give you a piece or part needed for the actual story of the HOG. I would recommend this to anyone who is looking for a great game and to be entertained. Rated 5 out of 5 by cat93004 from Great story line loved the game, great graphics. Rated 5 out of 5 by Italia47 from High-end, over-the-moon game!! I enjoy reading both the positive and negative reviews and wanted to mention that for those reviewers who were not pleased with this game, I, too, have had the same frustrations with other games, so I understand how you feel and respect your opinions; but, for me, Dark Strokes was unlike any game I had ever played before. I bought the CE version from another source a couple of years ago and found that I was hooked the moment I started playing. It's one of my favorite games of all time! Awesome! I highly recommend this game. Rated 5 out of 5 by krayzkrok from A couple of small nitpicks, but overall very good At this point I've played perhaps half a dozen hidden object games, so lack the experience of the genre that some have, but I'd say this was the best one I've played to date. In terms of graphics, audio and overall presentation this one was top quality stuff. 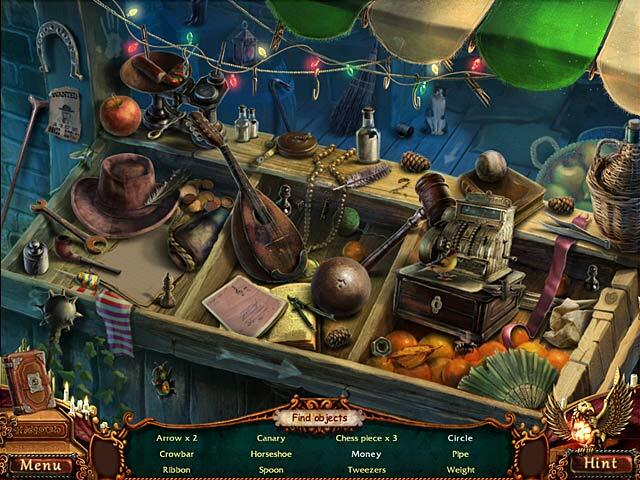 It adds a certain magical feel to the game that's sometimes lacking from the more basic hidden object games. This game has a much more point-and-click adventure feel than some hidden object games, and together with some decent puzzles helped to keep me interested in following the game through to its conclusion. I'm used to cheesy, hokey storylines, dialog and acting in these games, but Dark Strokes did a much better job than most. It's not going to win any writing awards, but it was certainly competent. If I had any criticism, it would be that the game seemed to lose a bit of momentum towards the end. 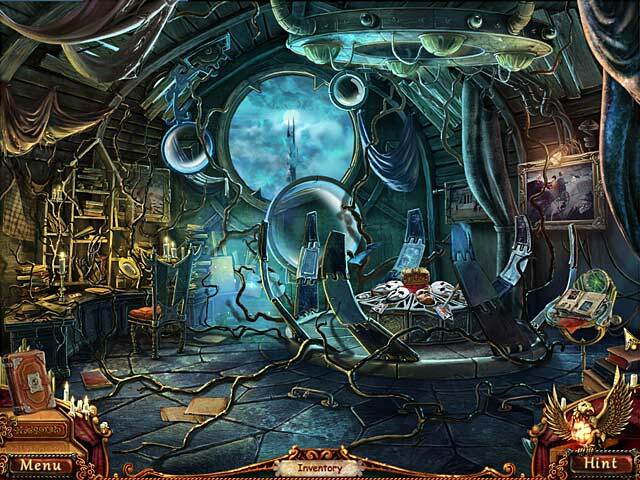 The best hidden object scenes were front-loaded, with quite a few objects that needed to be located by interacting with other objects within the scene, but by the halfway mark the developer had abandoned that idea which was disappointing. The last hour of the game was also quite easy, again the feeling that the developer rushed its completion somewhat. But overall, I think it took me a little over 6 hours to finish, so I can certainly recommend it. The difficulty was about right for me, and in fact I got stumped a couple of times, which makes a change from the blatantly obvious solutions to other hidden object games I've played. I would probably have bought the Collector's Edition had I known how much I would enjoy this one. Rated 5 out of 5 by crisgori from I like it Nice graphics, well done HOS, interesting puzzles, good length and chance to use your memory skills. The only complaint are the sparkles for the HOS even in advanced mode.